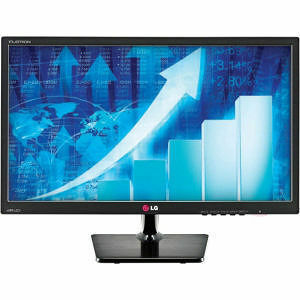 Go Wide with LG's EC33 series WIDESCREEN Monitors. Designed with a remarkable 5M:1 Digital Fine Contrast, 5ms response and 16.7 million colors. As a result, your images are rendered with striking effect while text comes through sharp. From web browsing to desktop publishing, the EC33 series wide screen monitors can enhance productivity in professional environments.